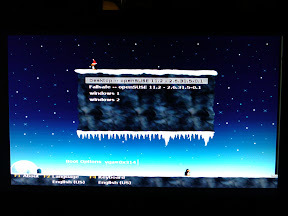 The Grub bootloader shows this right at startup on Opensuse 11.2. I like such little, event based, easter eggs (?). Now what's coming up next? Guess who is booting his computer now every holiday? Well, I would do it anyway :).